An undervisited, reinvented city is a metrophile’s Mecca, and Chattanooga certainly fits the bill. Tucked between Signal and Lookout Mountains and nestled beside the Tennessee River’s horseshoe bend, Chattanooga’s draws are many; its natural wonders, artistic community, lovely B&Bs, fine restaurants and nearby attractions make it a perfect vacation spot sans crowds. A lovely view of it all can be had from the tower at Ruby Falls on Lookout Mountain. Ruby Falls itself is a unique attraction, a tall, cascading waterfall in a cavern below the earth. To see it, you’ll take an elevator down and walk nearly a mile on a fascinating round trip tour past stalagmites and stalactites – with names like Cactus and Candle and Frozen Niagara – and other geological wonders. Then let your kids search for “treasure;” take them gemstone panning for semiprecious stones nearby. Don’t miss Rock City Gardens, (1400 Patten Road, Lookout Mountain, GA 30750, 706-820-2531 ), located on beautiful Lookout Mountain, about six miles from downtown Chattanooga. Stroll along its unusual, winding trail amidst some of the most stunning botanical and geological natural wonders you’ve ever seen – and pass cute, kitschy fairytale dioramas along the way. Kiss your sweetie at Lovers Leap, a summit where you can see seven states at the same time (GA, TN, AL, NC, SC, VA, KY), or if you’re not afraid of heights, scurry hand-in-hand across the Swingalong Bridge, a 180-foot suspension bridge that provides a great view of Chattanooga Valley. Gaze up in amazement together at the 90-foot waterfall. You might want to stay at my favorite bed & breakfast, the Stone Fort Inn (www.stonefortinn.com), a divine European style inn near Warehouse Row. So much thought has been given to the colorful, quirky old-world décor that a tour of the unoccupied rooms could be an afternoon’s activity in itself. You’ll fall in love with the original stone walls, the blue tin ceilings in the lobby, the old billiard table in the game room just off the lobby, and its quaint, charming ambience. Every one of the sixteen rooms, while uniquely styled with color, textures, and good taste, is comfortable and restful. Climb up onto overstuffed pillow-top mattresses, or sip champagne while relaxing in the tub. Most of the rooms have oversized whirlpool tubs while others have free-standing] tubs, and all have separate showers.And the Stone Fort’s restaurant, Nathan’s, is named for the first-rate chef; don’t worry, it has nothing to do with hot dogs! If you’d rather leave the inn for dinner, head into Central City and try Cibo, an elegant, cosmopolitan restaurant where you’ll savor food and wine in a quiet, upscale setting. Entrees might include salmon cakes atop mesclun greens with lemon aioli and homemade buttermilk crackers, or a casserole del Italiano; the latter is a meat-lover’s dream, with stacks of egg noodles layered with ground beef and Italian sausage, plenty of white cheeses, and topped with parmesan. If your taste in accommodations is less offbeat and you’re seeking a hotel with more facilities, try the more austere (but still upscale and art-minded) Chattanoogan (1201 South Broad Street 37402, 423-424-3700 www.chattanooganhotel.com.) Located in the Southside district just a few blocks away, it’s quite large, with 199 rooms, 8 suites, three restaurants, a cigar bar, a brand-new conference room, a little gem of a spa, and much more. Constructed of brick and glass with a wood fireplace and a wrought-iron chandelier, it has a refined, upscale, design-oriented feel, making it perfect for corporate needs. Inside the rooms, suites sport jacuzzis with showerheads so large they could water rainforests. Or get wet in the indoor pool with an outdoor concrete lounging terrace. And you’ll find excellent breakfast and lunch buffets at the Chattanoogan’s Broad Street Grille. But whether you’re staying the night or not, try dining in the Station House restaurant, one of the Chattanooga Choo Choo’s seven restaurants — that is, as long as you’re in the mood for a festive, feisty meal! Enjoy good solid American food, like steaks and a salad bar, and marvel at the extremely talented singing waitstaff. After they serve you your ribs with a smile, they’ll hop onstage, grab the mike, and belt out every imaginable variety of song! Then head north to the Bluff View Art District, a celebration of the arts—landscape, crafts, and culinary arts. A consortium of talented artists, its nineteenth-century buildings on the bluff overlook spectacular views of the bridge and the river. Enjoy the scenery while playing bocce on the wisteria-covered bocce terrace, or if you’re hungry, stop by the Back Inn Café at the Bluff View Inn. It has outstanding food and would be a divine place to get married. 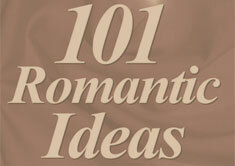 In fact, it was voted Chattanooga’s most romantic restaurant! Enjoy lunch or dinner here on the outdoor terrace overlooking the Sculpture Garden and Tennessee River. Then watch chefs hand-dip chocolate through the window at Rembrandt’s Coffee House, where sweet-smelling Carolina jasmine flanks the entrance, beckoning you to indulge in a meringue twist, a rum ball, an éclair, or just a fabulous piece of fresh-baked bread. After you’ve licked the sugar off each other’s fingers, duck into the back yard and steal a kiss beside the frog pond. And speaking of good eats, cooking, pastry and bread classes are given by the various caterers and restaurateurs on the Bluff. To register, call 423-265-5033 x4 ($35 per class includes the demonstration, recipe and a treat to enjoy at home). After you’ve had your fill of gastronomic delights, browse in a few of the Bluff’s many galleries. River Gallery specializes in fine arts, and the Hunter Museum of American Art features, well, American art, and it’s being expanded and restored. The Houston Museum of Decorative Glass, surrounded by red bud trees that are beautiful in bloom, houses antique glass and pottery. Then stroll across the Walnut Street footbridge to Coolidge Park and the wonderful shops on Frazier Avenue. The carousel below the bridge features stunning, hand-carved wooden ponies and animals, restored by local artists. And here’s my favorite part: you can even learn the mambo during your promenade down Frazier Street. The bronze footsteps on the pavement show you just where to put your feet, and before you leave town, you’ll be an expert!